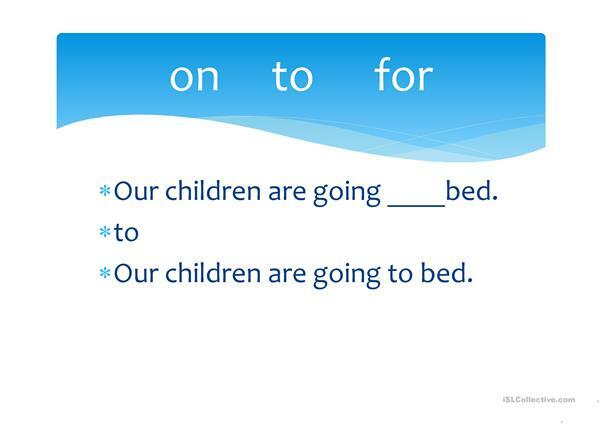 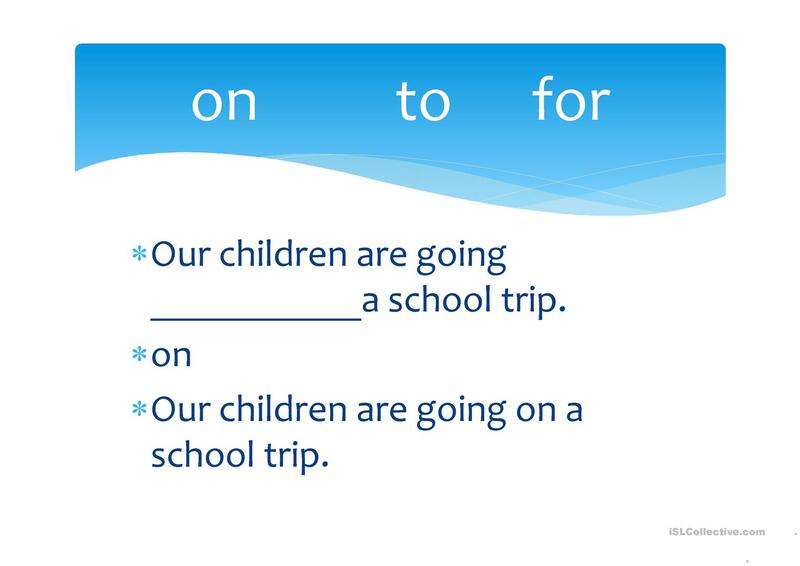 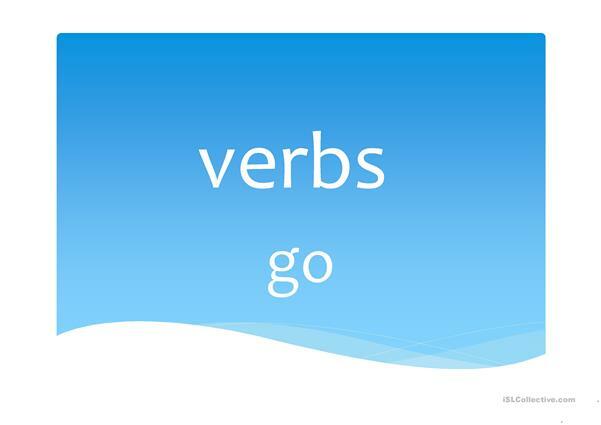 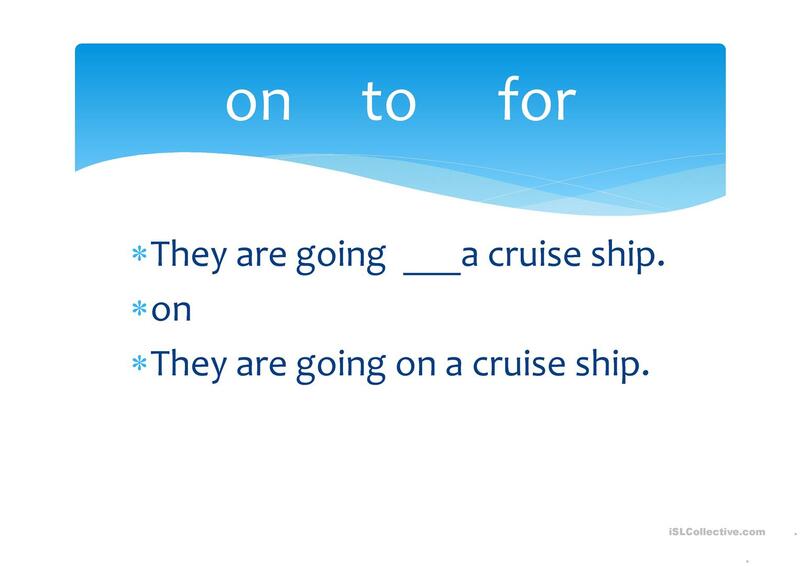 It is for students who are confident with what the verb go means. 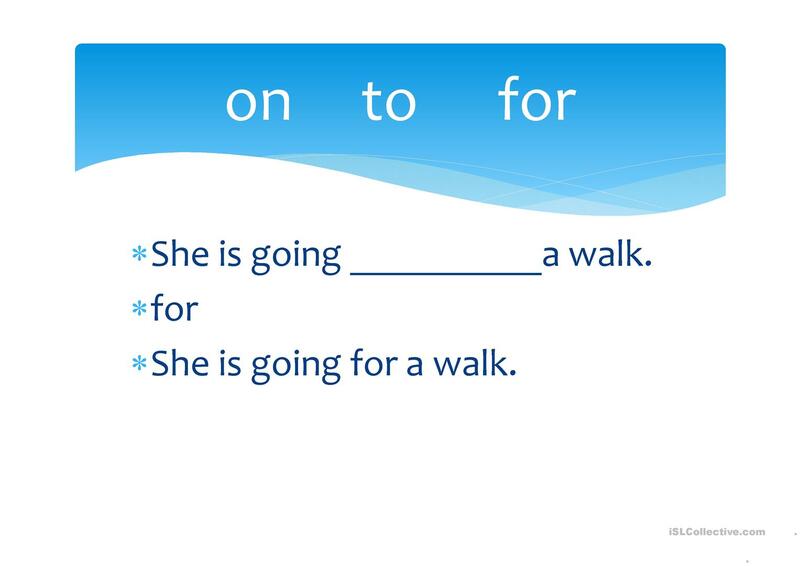 The present downloadable worksheet is meant for adults at Beginner (pre-A1) and Elementary (A1) level. It is a useful material for practising Verb phrase in English, and is useful for working on your groups' Speaking and Writing skills.